black panther is like no other hollywood movie. 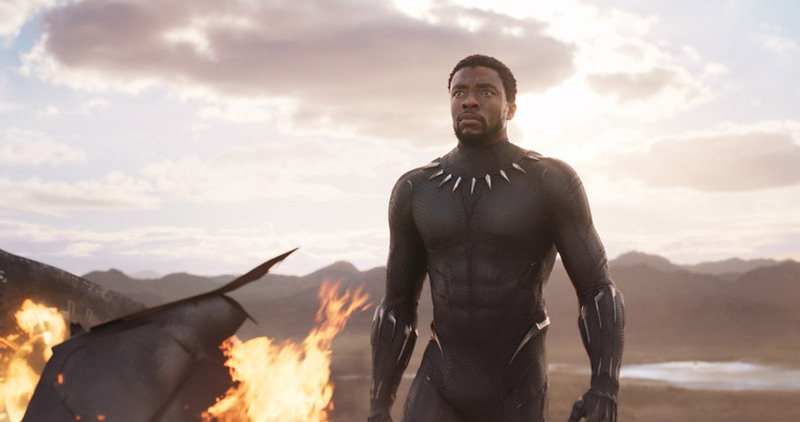 featuring a majority black cast, a black director and a narrative placing a black superhero front and centre, it is a major cultural moment. 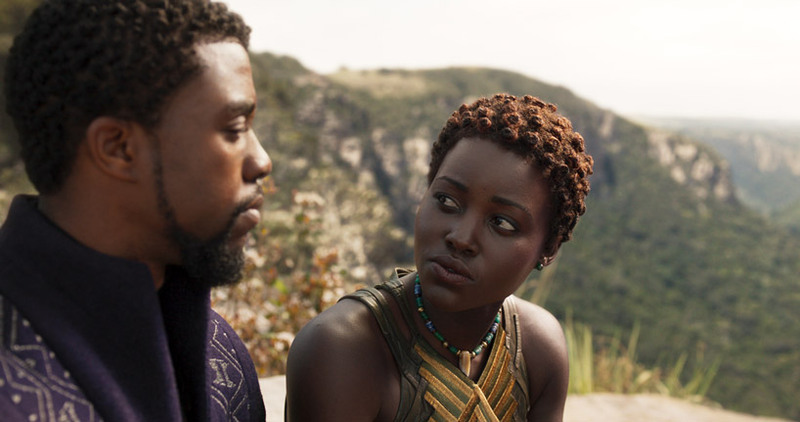 surpassing box-office records by scoring a huge $218 million on presidents’ day weekend, the marvel movie earned the best opening weekend ever for february, further spotlighting artistic philosophy it’s deeply rooted in: afrofuturism. 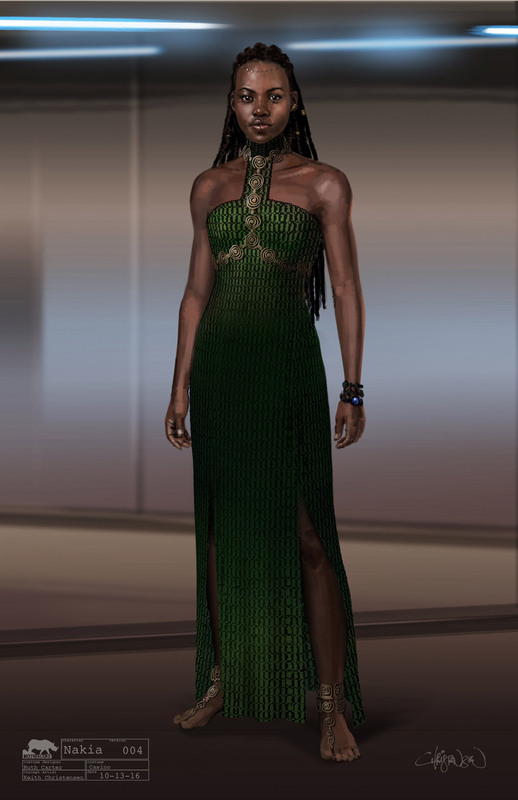 although the exact meaning is not clearly defined, it could be useful to understand afrofuturism as the area of science-fiction being defined by black artists, and/or in addition, a cultural aesthetic resuscitating the history of african culture. the term afrofuturism was first coined by culture critic mark dery in a 1993 essay, black to the future, charting the rise of sci-fi-oriented works from black artists and writers whilst interrogating the absence of black voices in these genres. 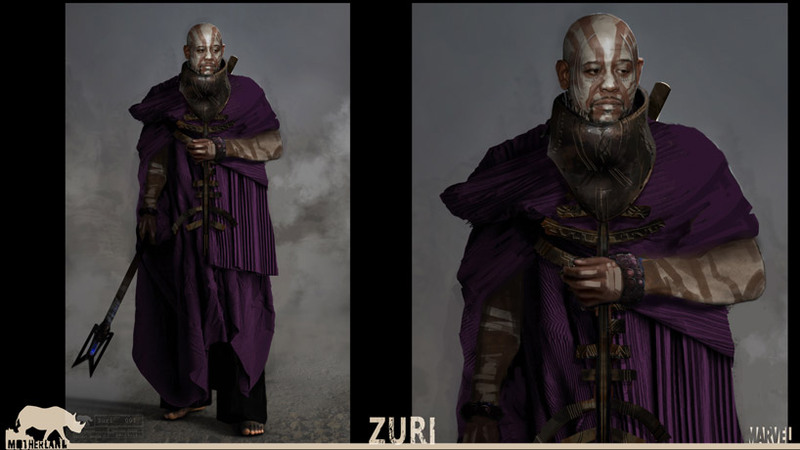 at the core of afrofuturism is the idea of representation and identity. 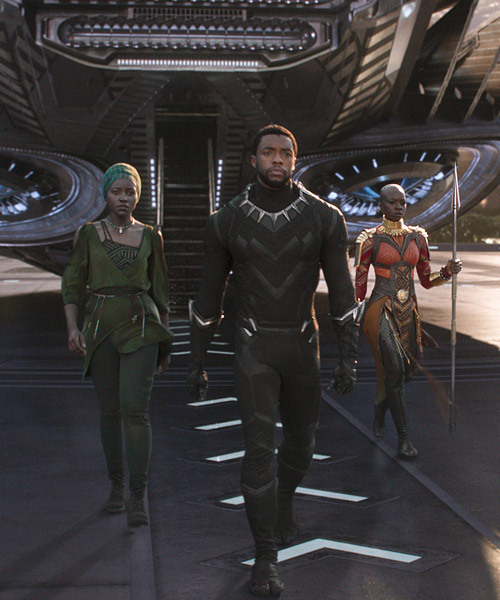 black panther follows t’challa who, after the death of his father, the king of wakanda, returns home to the isolated, technologically advanced african nation to take his rightful place as king. 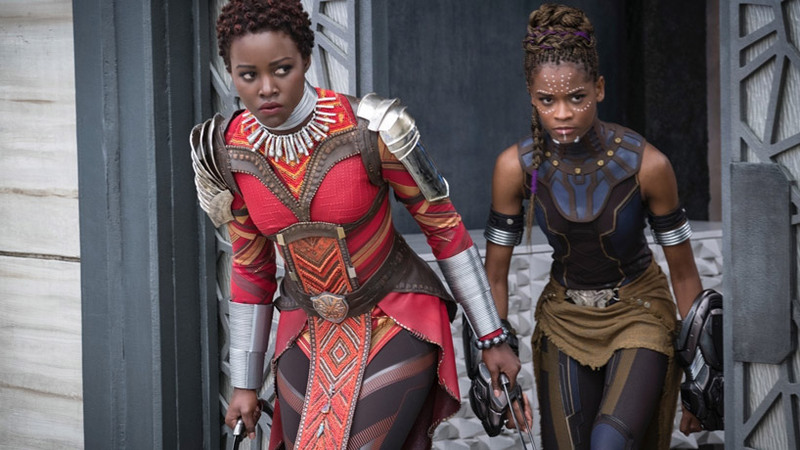 to the rest of the world, wakanda looks like a third-world nation but with its discovery of a superstring metal known as vibranium secretly, is secretly incredibly advanced. 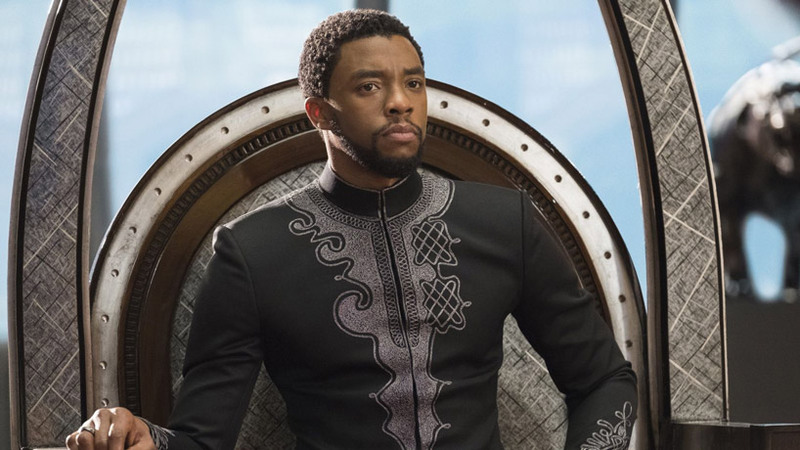 charting the identity of a nation as well as its people, the movie depicts wakanda as a futuristic mix of skyscrapers, flying ships and high-speed monorails, among patterns, colors and fabrics distinctly african. whilst originally created by white men at marvel comics, stan lee and jack kirby, black panther comics with the introduction of black writers over time have still played a part in the development of afrofuturism. the movie on the other hand, directed by and starring black artists, can be seen as a purer expression instating the power of depiction into the correct hands, defined in part by the work of oscar-nominated african american costume designer ruth carter. ‘I realized we could create from a place of fantasy, a place of african culture and a place of imagination’, carter tells marvel comics. inspired by not one, but many different places in africa carter melded cultural aesthetics from all over the continent to define wakanda, the fictional east african nation. 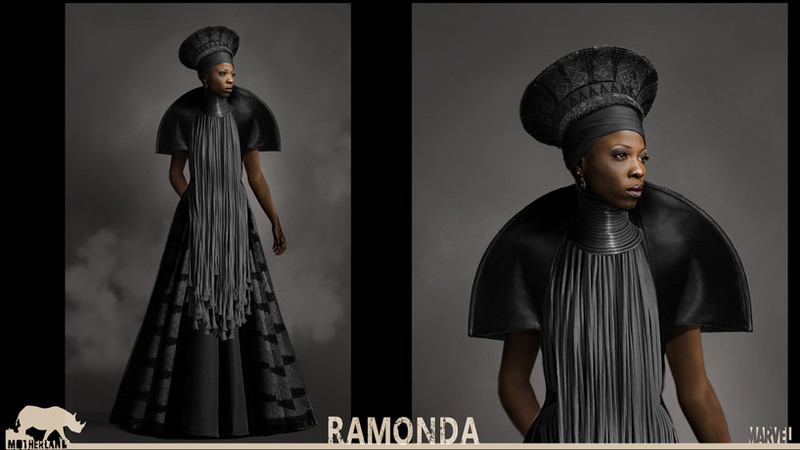 distinct color palettes reflect african customs alongside wakanda’s mysterious futuristic technology. 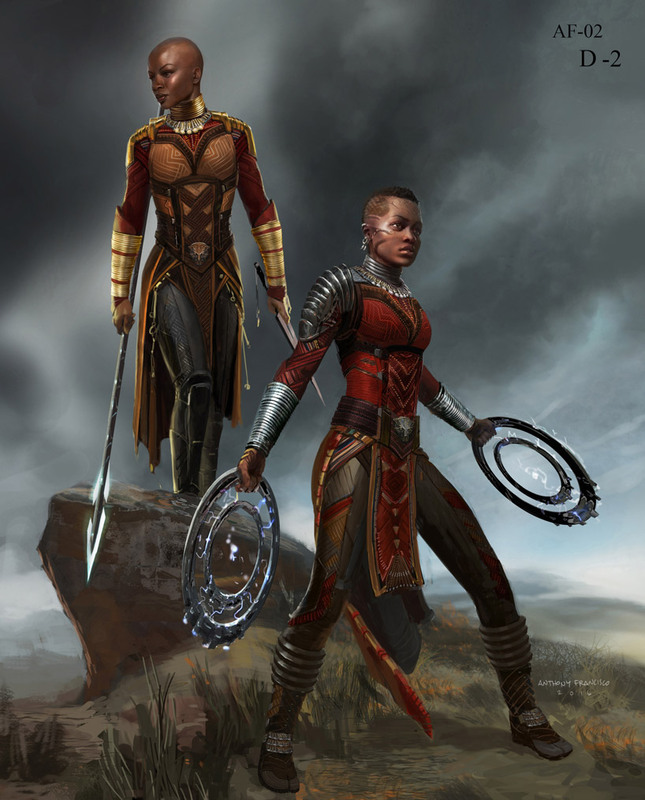 dora milaje, the female warriors charged with protecting t’challa, wear warrior garbs grounded in tradition. based on tribal influences, their distinct red color inspired by the african mass tribe, meanwhile the tabard or harness likened to an heirloom passed over generations and beaded charms reminiscent of talismans for protection. 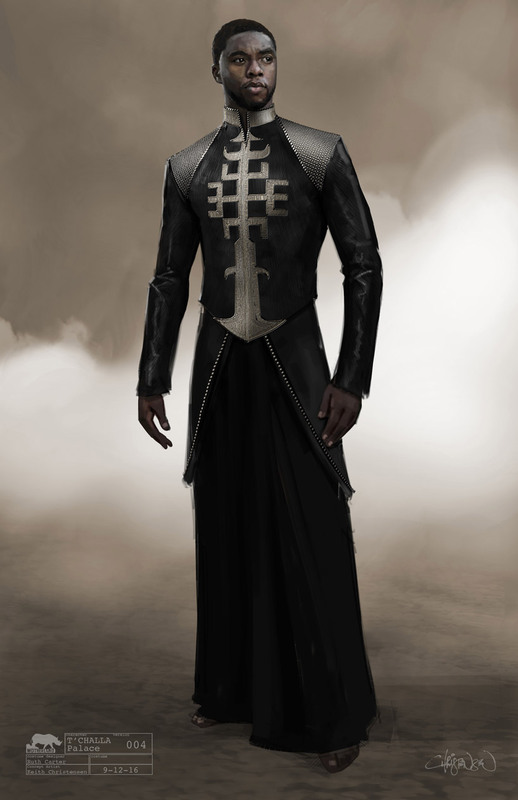 another example includes the black panther’s costume himself. 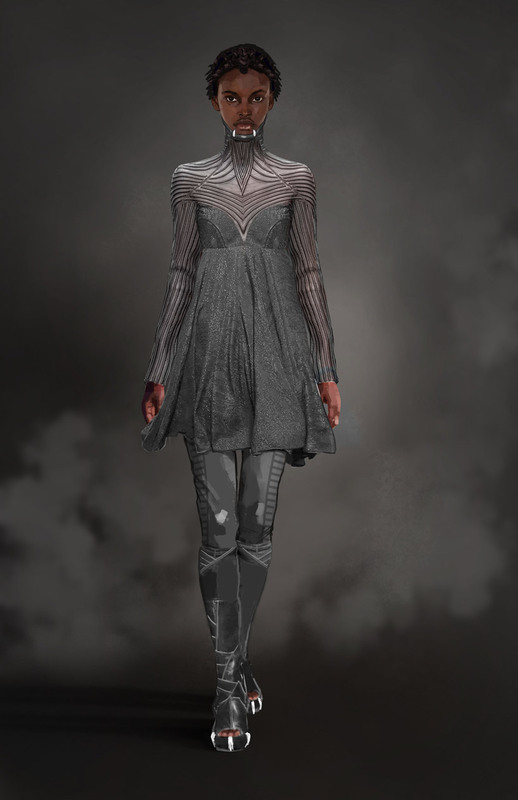 interwoven with vibranium it can be likened to african wear whose materials are determined by their geographical founding. carter’s translation of this suit included an overlay of thin fabric imprinted with a repeat tribal triangle pattern known as okavango—a nod to the okavango river delta in northern botswana accompanied by a panther-tooth necklace. ‘it’s so easy to translate this cultural experience into a futuristic model,’ told marvel interviewers at the premier of black panther. it is clear that carter’s aim was to create costumes that didn’t look like costumes, combining a visual taste, a quality in craft and most importantly an understanding of the african diaspora. with an uncompromising vision carter’s body of work for black panther is set to be celebrated, for what it means to represent african culture, possibly at the oscars but most definitely in history.